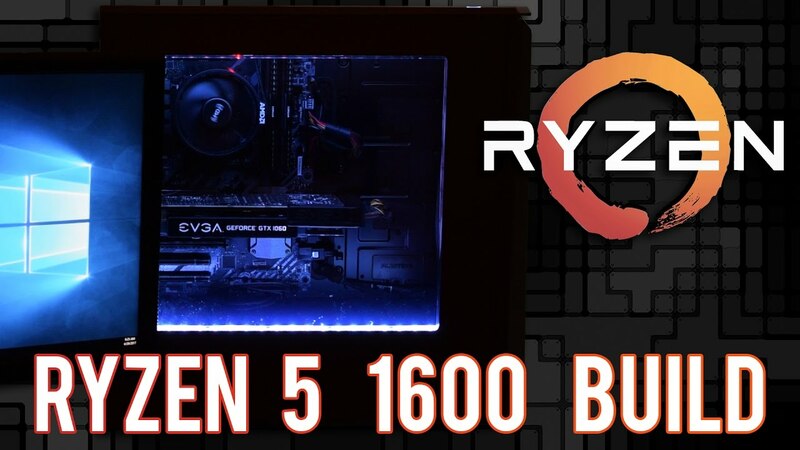 > Blog > Ryzen 5 1600 PC Build - Does it get any better? The all new Ryzen 5 series of CPU's were rumored to be the best price to performance CPU's the market has seen in a long time. With 6 cores and 12 threads for as little as $220 (at release), AMD certainly had my attention. But an upgrade to the AM4 socket meant an upgrade to most of the main components in my current system. This left me with one choice... Time to build a new system! The parts I used for this build are common parts that I think you will find in some other Ryzen builds. I already had some of these parts when I built the system, which is why I went with a GTX 1060 instead of a RX 580 graphics card. Other parts like the 3tb hard drive were upgrades that I added after the build video was recorded. It's hard to put a price on the build because there were a lot of parts like the GPU and PSU that I already had available. Not to mention, the prices of the parts seem to vary on a daily basis. A fair estimate for a system like this would be around the $800 - $900 range if you stick with the stock cooler and don't upgrade to the water cooling loop. The build was pretty simple really. The Phanteks Eclipse P400S was an awesome case to work in and looks really good! It has great cable management (even though I did a terrible job of it). Despite a mishap with the power button (which was my fault. I plugged it in the wrong spot. ), everything went really well. The stock cooler does a decent job, but temperatures where a little higher than I would have liked to have seen. This is why I decided to go with the EKWB EK-KIT S240 water cooling loop instead of the stock Wraith Spire cooler. You can see what a difference the water cooling made with the results below. And the water cooling loop just looks downright awesome! CPU Temp, Load, 20 Min. So as you can see the water cooling loop performs way better than the stock Wraith Spire Cooler. I have a video where I assemble the water cooling loop and I can honestly say the kit that EK Water Blocks put together is so easy to build. They pretty much take all of the guess work out of building a water cooling loop. This build is quite a bit better than the first build I made for this blog, which I called The Craigslist Killer PC. Here is how the two PC's compare. So obviously the Ryzen 5 1600 build destroys my first build when it comes to performance. But how does it stack up to other benchmarks? Below is my benchmarking video where I put the build through it's paces comparing the framerates you can expect to get on maxed out settings. I'll start this off by saying all of the videos you see in this post were edited on this build. Editing on this computer with Adobe Premiere is amazing. I haven't had problems with scrubbing speed or playback. Render times are pretty good and way faster than anything I've used before. So in Adobe Premiere this CPU runs flawlessly. I don't expect you would have any problems with other editing software either. Adobe After Effects is slightly slower and starts to show stress on the Ryzen 5 1600, but not enough to really be noticeable let alone a problem. Again, render times are pretty quick with this CPU along with help of the 1280 Cuda cores that the GTX 1060 has to offer. As long as you aren't using this PC to work on the next Pixar movie, then this rig totally passes for a quality editing rig that most people will find quite enjoyable to edit on. If there was ever proof that AMD is back and competitive in the CPU game than this build is it. I am seriously impressed with the price to performance that you get with the Ryzen 5 1600. 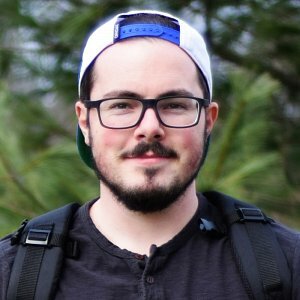 If you are looking to build a computer for 1080p gaming, video editing, or even streaming, the parts that I used in this build should work out nicely. I don't expect the need to upgrade any time soon, which is a nice feeling. If you are interested in any of the parts that I used in this build I urge you to consider using the links for the parts that I have above. It really helps me out. Also, if you liked the videos I posted, consider subscribing to my YouTube Channel.